Private day tour to Dendera and Abydos two amazing temples, located near Luxor to discover unique goddess Hathor temple in Dendera, with its unforgettable frescoes of the zodiac and the starry sky plus visit to amazing Abydos, on the wall of his temple is still visible one of the few comprehensive lists of the pharaohs of Egypt. 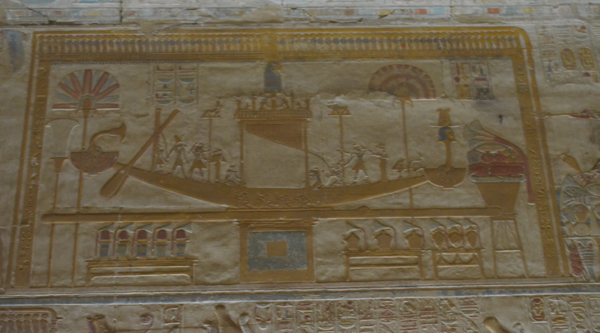 Our individual day tour to Dendera and Abydos is planned in the way to introduce the temples in the best way possible. The trip starts with an early transfer from your hotel on a comfortable air-conditioned micro-bus to Dendera area. The journey may take up to 3 hours, there will be some stops on the way. First, we visit the temple of the goddess Hathor, located in the ancient city of Dendera. The temple of the goddess is built of sandstone, is 79 meters long and is surrounded by a brick wall. 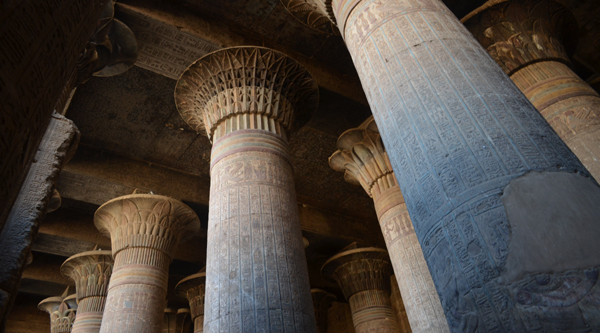 Inside is a huge hall with 24 columns, which are topped with the image of Hathor. But the most impressive thing in this temple is its wall murals and amazingly beautiful color paintings depicting the starry sky and the goddess Nut. We will take a tour of the temple, and then we will continue our journey towards Abydos. Abydos (the Greek version of the ancient Egyptian name Abdu) is located on the west bank of the Nile, about 7 km west of the modern city of Bolyan. 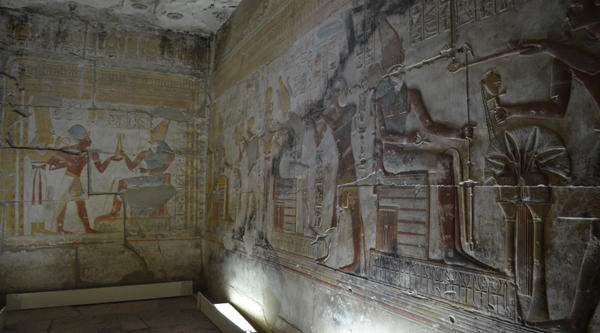 The most visited temples in Abydos are those that were built in the New Kingdom by Pharaoh Seti I and Ramses II. The temple of Seti I is decorated with some of the best relief sculptures of the entire ancient Egyptian period, which can be found in the Nile Valley. And the reliefs of the nearby temple of Ramses II are so finely carved that they suggest that the temple was built at the beginning of his reign, and was decorated with the same artists that worked under his father, Seti I. In Abydos, we will visit not only the Temple of Seti I and Ramses II, get acquainted with the famous list of pharaohs engraved on one of the walls of the temple, but also look at Osirion. This separate structure is located in the south-west of the temple of Seti I. The purpose of this building is still not clear, but the architectural features are unique. Osirion is partially submerged under water, the central hall is surrounded by ditches, around which there are 17 niches carved in stone, in front of each was a ledge. The central hall approaches from the east and west down a narrow staircase from the water channel to the “island” in the center. The main part of the building was built under Seti I, and completed by Merenpta, the son of Ramses II. 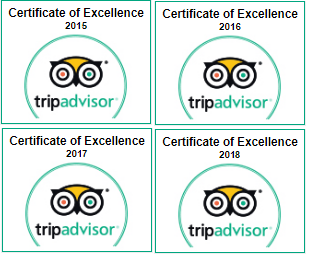 After visiting Abydos, we will return back to your Luxor hotel.